During Programme No. 6, 7 November until 13 December, 2009, exhibition “White Point” by Latvian artist with an extensive international experience Gints Gabrāns (1970) at the Kim? / RIXC Gallery. 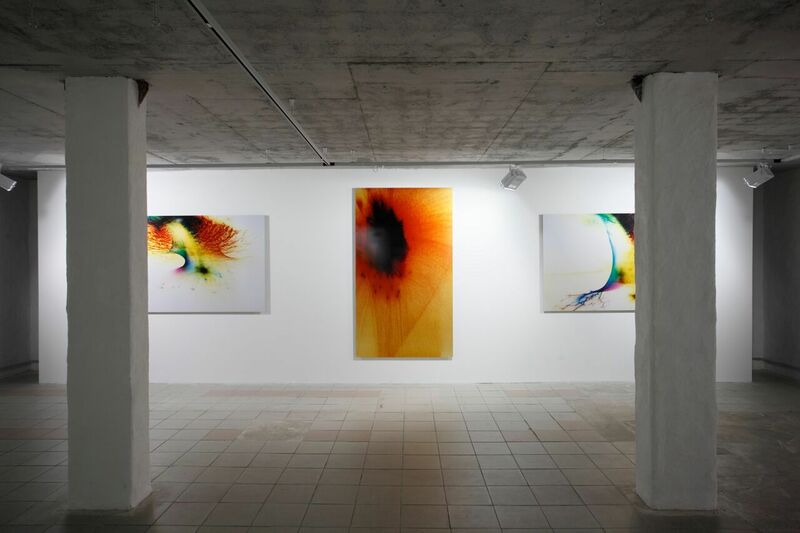 The exhibition showcases Gabrāns photon “painting” project – images created by breaking a laser beam on a specifically prepared reflective surface in a darkened room – a drop of water on micro mirror. The obtained projection is “written” on a large scale light sensitive surface – photo paper. 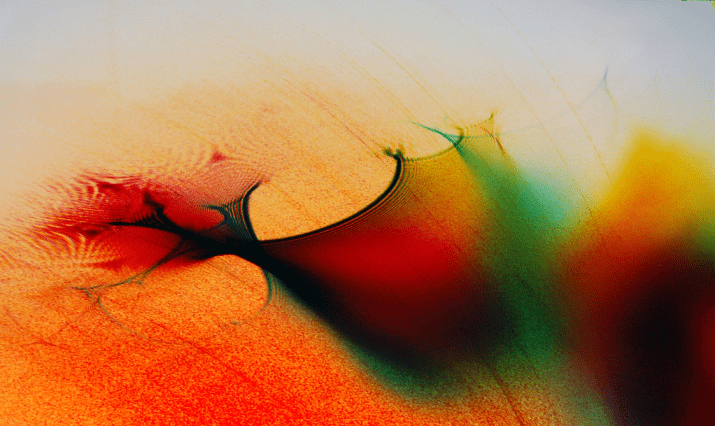 After treating the paper with photo-chemicals a unique photon “painting” is created by filling out the photo paper’s surface with traces left by photons (light quanta). The projection captures an amplification of the microscopic processes of light’s electromagnetic wave interference which allows to show the “dark”, invisible side of light. The images are like landscapes from a different world that can be viewed with a sense of discovery and with the eyes of a landscape artist, who has gone out to paint plein air in some parallel world. 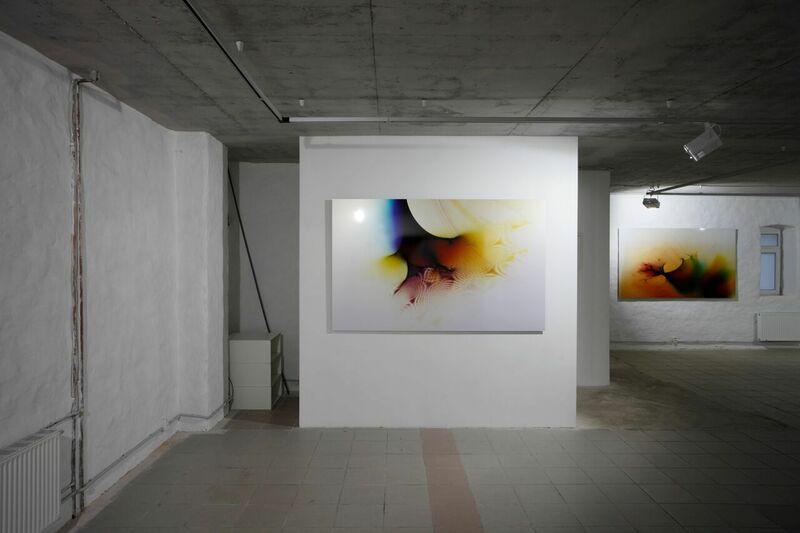 Gabrāns’ large-scale project “Not a wave, not a corpuscle” was exhibited in Paris in 2008. Gints Gabrāns was awarded with Hansabank group Art Prize (2004). He has participated in the 26th San Paulo Biennale (2005) and in the 52nd Venetian Art Biennale (2007), as well as in other venues worldwide. The artist seeks to explore the phenomena of light, water and reflection which can be viewed from a logical as well as an intuitive perspective. The exhibition “White Point” was supported by PRO 1 and full service advertising agency “Pareizā ķīmija”.